We work on a contingency fee basis, which means you don't pay us anything unless we win your Pittsburgh personal injury case. We never just settle for an initial offer, we fight to earn every client maximum compensation. At our law firm you will work and communicate directly with the personal injury attorney throughout your entire case. Over 35 years combined experience, with hundreds of personal injury cases resolved. At our law firm you will work and communicate directly with the attorney throughout your entire case. Over 35 years combined experience, with hundreds of cases resolved. We work on a contingency fee basis, which means you don't pay us anything unless we win. A traumatic injury can cause disability, paralysis, amputation, permanent brain injury, spinal cord injury, lifelong emotional and psychological damage, and death – sometimes due to the negligence of someone else. At The Mitchell Law Firm, LLC, our Birmingham, AL personal injury attorneys believe in results, and we’ve dedicated our practice to defending those who can’t defend themselves. For more than a decade, our Birmingham personal injury lawyers have used expert knowledge and legal experience to win compensation for victims of others’ negligence. From car accidents to fatal dog bites, we have the ability and resources victims need. Without a Birmingham personal injury lawyer by your side, insurance companies may not give you a decent settlement offer. Instead of going it alone, trust a lawyer to take the weight off your shoulders and negotiate the kind of numbers you really need for fair compensation. We’ve handled hundreds of personal injury cases in our years in Birmingham, and we stand up in court for virtually any type of Alabama personal injury that has caused a victim pain. All personal injury victims deserve the chance to stand up in court against the person(s) who caused their injury. Seeking justice is more than winning a case – it’s helping innocent victims regain their sense of self. If the negligence of another person caused an injury, we’re the team of expert Birmingham personal injury attorneys to trust. Let us take care of your case, so you can get back to what matters most – healing and moving on with life. After a catastrophic personal injury, you may not know how to get back on your feet or regain peace of mind. When you call The Mitchell Law Firm, LLC, we’ll take care of everything for you. We’ll take over all communication with insurance companies, manage the claims process, review and collect evidence to strengthen your case, and actively seek to recover punitive and compensatory damages for you. When you don’t know where to start, start with us. From the moment you contact our firm for your free consultation, you’ll know you’re in the best hands in Birmingham. Our compassionate personal injury lawyers are proud of the reputation we’ve built throughout Alabama. We’re known for our warmth and genuine concern for clients’ wellbeing, as well as our aggressive litigation techniques. When you need the best of both worlds, trust The Mitchell Law Firm, LLC. With injury attorney Michael D. Mitchell personally invested in your case as well as an expert staff of investigators, legal secretaries, damage specialists, and paralegals, you’ll have support that makes you feel confident. You’ll work closely with Mitchell and his team to set goals for your case and work to achieve them as efficiently as possible. From the initial claim filing to the final settlement offer, you’re free to focus on your future instead of the case when you leave it in our hands. The Alabama Small Claims Court hears personal injury accident and other types of cases that involve $6,000 or less in damages. The Small Claims Docket of the District Court accepts these types of claims. Individuals and businesses can file small claims with this court in an effort to settle small-value disputes without major trials. This type of court system is simpler, faster, and less expensive than larger claims courts. 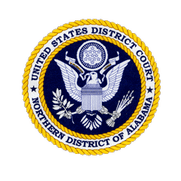 You may not need an attorney if you have a case in the Alabama Small Claims Court. Before you can file with the Small Claims Court, estimate the potential value of your claim to make sure you are going through the correct court system. In a personal injury accident, for example, add up the estimated costs of your property damage repairs, medical bills, and/or lost wages. In a business dispute, find out the sum which is at stake. The Alabama Small Claims Court can only settle claims involving $6,000 or less. Many other states’ Small Claims Courts have a maximum value of $10,000. Once you’re sure you have a small claim, prepare your complaint. Print and fill out the Statement of Claim form yourself, or request a printed form from a District Court Clerk’s office. Fill out the form completely, in as much detail as you can. Any missing information could delay your claim. Double check that the name and address of the person or party you’re filing against (the defendant) are both correct. Include how much you believe the defendant owes you, and how you came to this amount. A lawyer can help you accurately fill out the Complaint if desired. Contact the Small Claims Court nearest you, or the one in the district where your accident occurred. Ask if they require other paperwork besides the Complaint. Once you complete all necessary documents, submit the forms to the correct District Court Small Claims Docket. You will have to pay a filing fee or show you cannot afford to do so. The clerk will send a copy to the defendant, at which point the defendant has 14 days to file a response in answer to your small claim. A defendant has the option to respond to a claim with either an acceptance or denial. If the defendant accepts your claim, you will enter into settlement negotiations, generally without needing to go to trial. You, the defendant, and your attorneys (if applicable) will work out a satisfactory settlement agreement during mediation. You may have to go to court against the defendant if he or she denies your claim or refuses to pay what you believe you deserve. Prepare for a trial by gathering all documents and information that support your case. This can include police reports, medical records, medical bills, receipts, eyewitness statements, and photographs. During the trial, you will need to prove your case against the defendant. In general, you will need to prove that the defendant caused your damages and therefore owes you restitution. You must follow all trial rules and regulations, or else risk the judge automatically dismissing your case. You have the right to retain an attorney to represent you in the Alabama Small Claims Court. Even though your case is worth $6,000 or less, failing to hire a lawyer could hurt your odds of recovering compensation. A lawyer knows exactly how, when, and where to file your claim, how to collect and present evidence, and how to build the strongest case possible against the defendant. If you recently suffered a personal injury, breach of contract, business dispute, or other hardship that requires legal action, contact an attorney for assistance. Do You Have the Elements to File an Injury Claim? The defendant owed you some duty of care. This is often easy to prove since most other people owe at least a duty not to cause harm. Other motorists owe you duties to drive safely. Doctors owe patients the highest standards of care within the professional relationship. Property owners, product manufacturers, and government agencies may all owe you certain duties of care. The defendant breached the duty of care. The breach is typically the act of negligence or recklessness that created the hazard. A “breach of care” can be anything that goes against an industry’s accepted standards within the situation. Examples include a driver falling asleep behind the wheel, a surgeon carelessly nicking an artery, or a product manufacturer releasing a dangerous or defective item. The defendant’s breach caused the accident in question. Causation must exist between the defendant’s negligence and the accident that resulted in your injuries. The defendant’s breach doesn’t have to be the only cause, but it must have at least contributed. There may be more than one defendant at fault, depending on the factors that led up to the incident. You must also show that the accident caused you real damages, such as personal injuries or financial losses. This may require medical documentation and expert witness testimony. Every personal injury case is different. There are dozens of forms of negligence that could make you eligible for compensation. Always speak to an injury lawyer when considering the question of negligence, due diligence, and duties of care. Our Birmingham personal injury attorneys know what it takes to convince the civil courts of negligence and to maximize recovery amounts. Is Retaining a Birmingham Injury Attorney Worth the Expense? In most cases, yes. A good attorney will not offer to take your case unless they believe there is a good chance of garnering enough money to make the lawsuit worthwhile. Most Birmingham personal injury attorneys – including The Mitchell Law Firm, LLC – do not get paid unless they win compensation. That means you have virtually nothing to lose in filing a claim. Our attorney’s fees come directly out of any financial awards we win on your behalf, not out of your pocket. Our skilled lawyers have won seven-figure settlements and judgment awards for our clients. One conversation with us could help you understand just how much your claim could be worth. The value of a claim depends on the extent of damages and the effects an injury will have on the plaintiff’s life. It’s our job to show the judge or jury just how much havoc a personal injury accident has wreaked on your life. With an attorney by your side, you can truly maximize your damage recovery. For more information, call (205) 942-0249 to reach our Birmingham injury lawyers. After an accident, you should not expect the insurance companies to offer a fair settlement. I have had to use Mr. Mitchell several times over the years and he has always done an excellent job for me. I highly recommend him and his law firm. I had an issue at a construction site. I turned it over to Mike and he did a great job handling my issues. His staff is very professional and kept me up to date with everything going on. I was involved in a boating accident about a year ago and I didn’t know what to do. I called Mr. Mitchell and he took care of everything for me. He did a great job for me. I was hit by a vehicle while riding my bicycle and sustained significant injuries to my back. The insurance company was not acting right so I called Mr. Mitchell. He personally handled everything for me from start to finish and did a greta job. Thanks Mike. I was injured when a car rear-ended the vehicle I was in. Mike took over the case and did an awesome job for me. I will call him in the future if I need a lawyer. We’re committed to fairly practicing the law. Our expertise extends to several areas. Personal injury laws in Alabama can be complex and are difficult to navigate on your own, especially if you’re also recovering from an injury. When you’ve been involved in an accident resulting in personal injury, don’t hesitate to contact us to start the legal process. We always offer a free initial consultation and work on a contingency fee basis – meaning we don’t get paid unless you do. When you’re ready to reclaim your life from a negligent party’s mistakes, get in touch with The Mitchell Law Firm, LLC. Mr. Mitchell will provide regular status updates to keep you informed of your case progress. Our clients are always treated with respect. We encourage clients to get in touch when new questions or concerns arise. We give each client an honest assessment as to the merits of the case. At no point during the process will we ever promise a specific outcome, and work diligently to over deliver on results.